You just bought that incredible bottle of natural red wine and finally it arrived at your house: now, as you surely know, you have to store it in the proper way to keep intact all the taste and the aromas, and enjoy it as just bottled by the producer. Let’s see some advice to properly store your wine bottles at home. 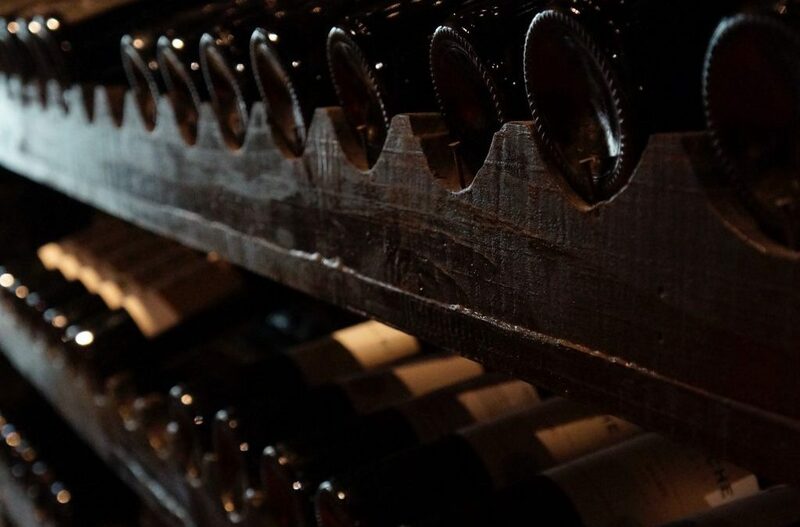 The perfect place where to keep your good wines’ collection is a cellar; this is not just a whim: the ideal place where to store them could be any place where the bottles are protected from direct light, a great enemy of the organoleptic properties of a fine and delicate product like good wine. If you do not have a cellar, the advice is to keep the bottles away from sunlight, perhaps inside a piece of furniture in a corner where the sun never arrives directly. If you have a cellar, pay attention to the lighting: avoid strong lights or neon lights, the ideal is a light enough to read the label, but not stronger. Among the worst enemies of wine, there are the temperature changes: keeping the bottles in places that are too hot or too cold, or – even worse – where the temperature has constant changes, will cost the quality of the wine contained in them. As for the previous point, the ideal place would be a cellar, where the temperature is constant between 11 ° and 14 ° C, but if you don’t have one, it could be compensated with a wine fridge. Otherwise, you could keep the bottles away from sources of heat (thus avoiding the kitchen), in a room with temperature controlled using a thermo-hygrometer. Another important factor to keep your bottles at their best is to keep an eye on the humidity level of the place where the wine is stored: a too high level of humidity can cause the formation of molds and fungi, and the consequent cork taint, while a too low level of humidity can dry the cork, narrowing it, with the consequent leakage of wine and air and finally oxidation. For a good storage of the bottles, it is advisable to maintain the humidity between 65% and 70%; it can be done with humidifiers and dehumidifiers and by ventilating the space reserved for wines. There is also a precise position to keep the wines to avoid spoiling them: in fact, it is advisable to ensure that the bottles are in a horizontal or slightly inclined position. This will cause the wine to remain in contact with the cork, preventing it from drying causing its oxidation. The perfect inclination is 5°: in this way any sediments can rest on the bottom. It is also good to ensure that the bottles are as low and close to the floor as possible, so as not to be damaged by the hot air that rises. To keep your wine collection at its best, it is advisable to use appropriate wooden wine racks or other materials that absorb vibrations: another of the sworn enemies of our best bottles is indeed the shaking. A cheap method to make sure that the bottles do not suffer because of this is to keep them in the polystyrene or wood packs in which they are delivered to us. So here are our five tips to store your wine bottles at home: the best solution would be to own a cellar, but thanks to these brief and simple tips you can enjoy your natural wines every time as just bottled.